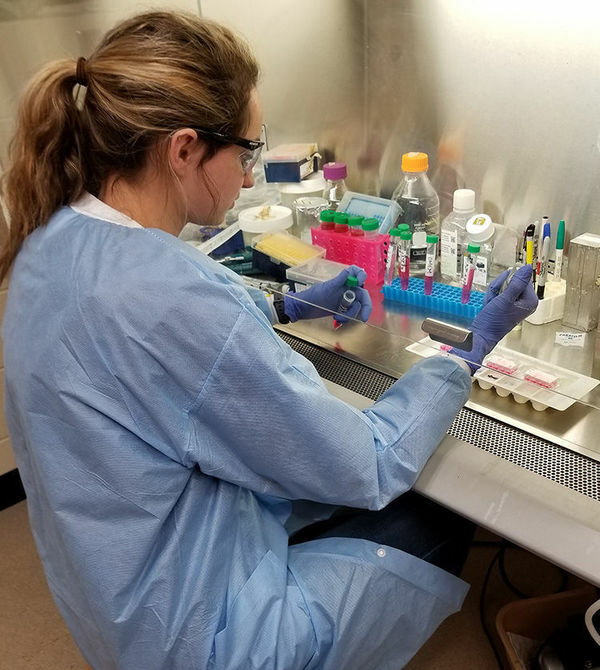 University of Notre Dame student Margo Waters has received the first Woodward Family Endowment for Excellence in NDnano Undergraduate Research. Margo Waters works in the Nallathamby lab. Waters, a science-business major of preprofessional studies, is a rising junior from Cincinnati, Ohio. She was identified for the Woodward Family Endowment through the NURF program, which selects fellowship applicants to participate in nano-engineering and -science research at Notre Dame over the course of a 10-week period. Fellows also have the capability to attend a variety of social and professional development opportunities throughout the program. Originally published by Brandi Klingerman at research.nd.edu on July 2.